Used to break off the 3 Pin Fan Wire. 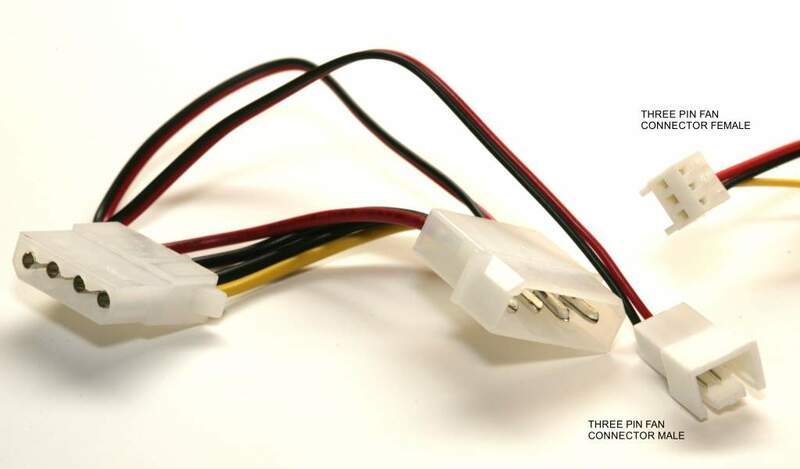 From Standard Four Pin Large Molex Drive Connectors. RPM Data Line (yellow) is dropped from Fan Signal. Red and Black Supply Standard 12v to CPU Fans.